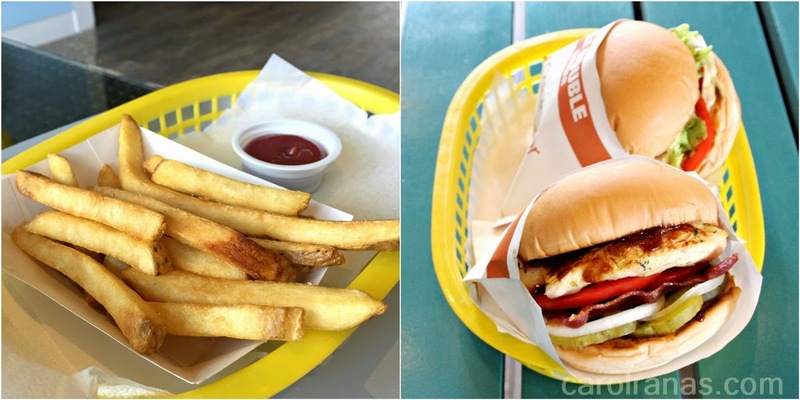 As summer crawls up to our midst, Caliburger continues to bring some hot California vibe in the country by introducing new summer flavors that will make your summer more interesting. Caliburger is now offering new flavors for this summer. Two new sandwich flavors, Cali Chicken Sandwich and Chipotle BBQ Sandwich and Seven new milkshake varieties, Tutti Fruity, Bubblegum, Blueberry, Mixed Berry, Butterscotch, Rootbeer and Coffee makes your Caliburger experience complete this summer. The Cali Chicken Sandwich consists of chicken breast fillet with fresh lettuce and tomato mixed with their special "avocado sauce". The minute I heard of avocado sauce, my foodie dreams were already expecting guacamole on their burgers. 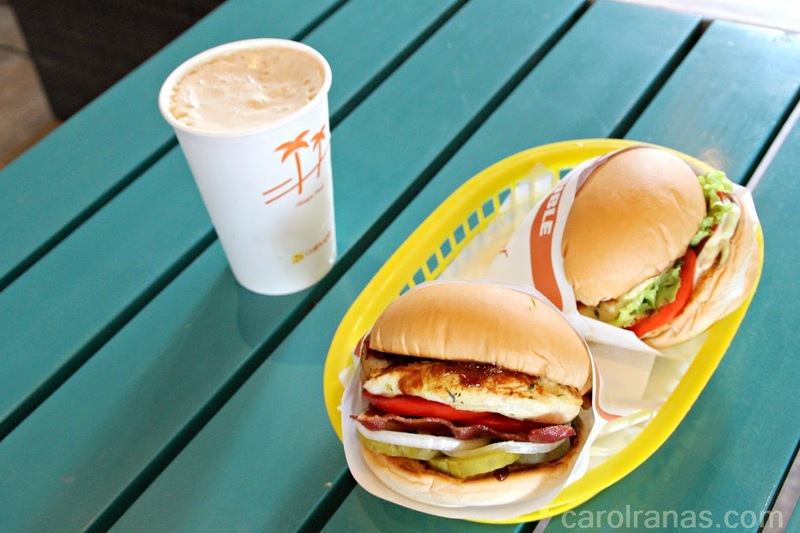 Gucamole is a staple food in California so I was delighted Caliburger is bringing them in. Little did I know that the "avocado sauce" was somehow similar to a mild ranch sauce with a hint of avocado. My guacamole dreams may have not been translated into reality, but that doesn't mean the burger wasn't any good. The Cali Chicken sandwich was light and tasty. The avocado sauce makes the sandwich more light, perfect for girls craving for some burger and still wanted to keep those hard-earned abs. CaliBurger Chipotle BBQ Sandwich was the redeemer that morning. It consists of lemon & herb marinated chicken breast, fresh slice of tomato, pickles and onions, crispy bacon mixed with chipotle BBQ sauce. Almost all my favorites joined forces in this burger. Bacon: check! chicken BBQ: check! Spicy kick: Check! The Chipotle BBQ Sanwich will add more heat to your summer and at the same time will make your tummy extra happy. Don't forget to order a side of fries or onion rings to make it a complete meal. 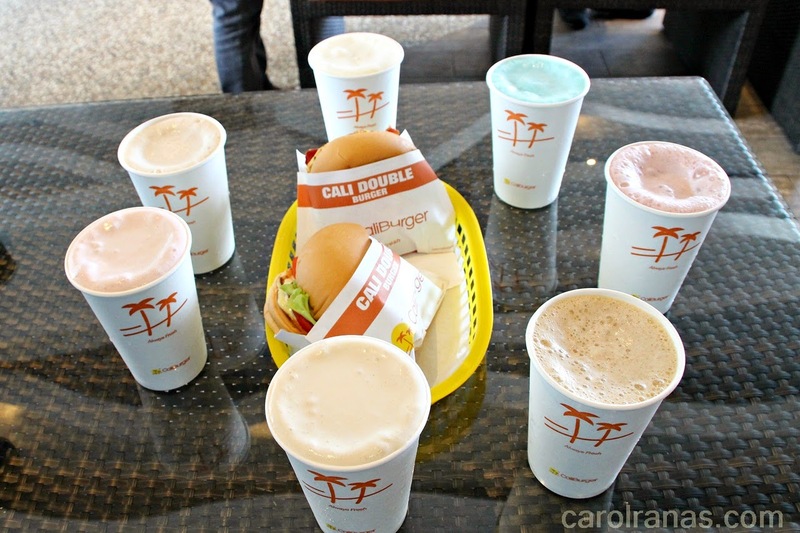 To neutralize those summer sizzles, Caliburger added seven new milkshake flavors. 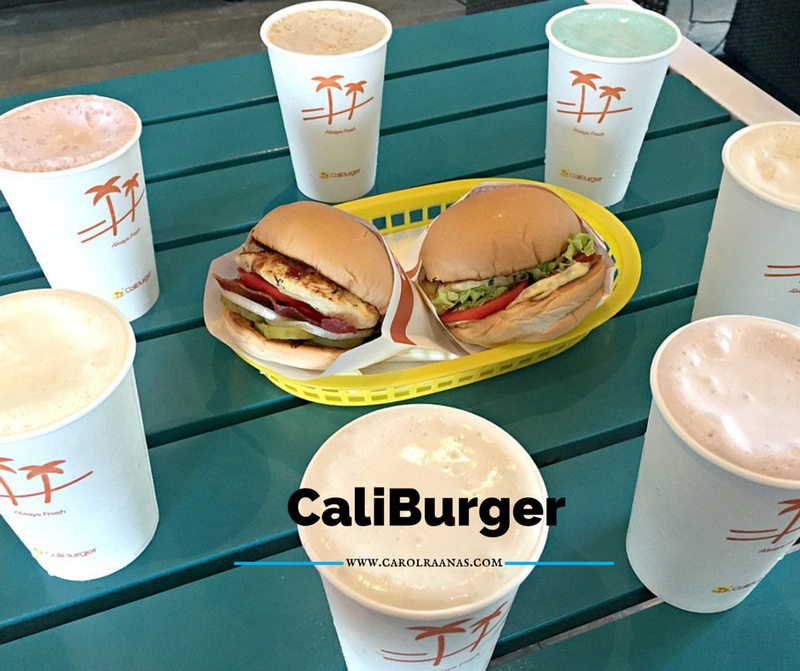 I know you loved their Chocolate and Vanilla milkshakes, but Caliburger goes further by bringing more interesting flavors namely: Tutti Fruity, Bubblegum, Blueberry, Mixed Berry, Butterscotch, Root beer and Coffee . My top picks? Bubblegum and Mixed Berry! Bubblegum came as a surprise because I'm never fond of the bubblegum flavor on anything. But let me tell you, it is worth trying because it was delicious! I wasn't aware I was gulping it down to the last drop. Thank you Caliburger for welcoming us with delicious treats that morning. I'll definitely be back to try those juicy cheeseburgers you have.